Plot: A country music star discovers a songwriter and together they embark on a romance as her star rises and his fades. 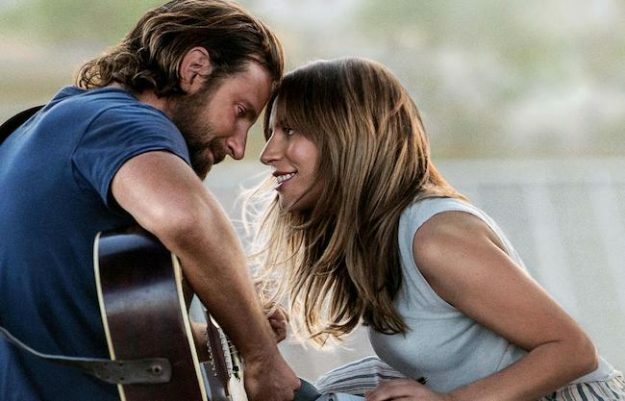 A Star Is Born doesn’t reinvent the wheel but it gives it shiny new alloys and enough overdrive to leave it resonating in your soul long after the credits have rolled. “It’s the same story told over and over, forever.” That this is the fourth incarnation of A Star Is Born is clearly not lost on writer, director and star Bradley Cooper. This line, spoken towards the end of the film, echoes loudly throughout the story itself but also the very nature of the entertainment industry. The next part of this particular quote states, “All any artist can offer the world is how they see those twelve notes.” And it is here in which Cooper, in his feature film directorial debut, excels. It would seem therefore that A Star Is Born is like vampire slayers, unto each generation a new one is born. Jack (Cooper) is a rock star struggling with ghosts from his past and an increasingly destructive alcohol problem. When he stumbles into a bar one night he witnesses Ally (Lady Gaga) singing and the pair set about painting the town red. In doing so they create a song that launches Ally’s career. As Ally goes from strength to strength so Jack’s self-destructive side threatens both their careers’ and their relationship. A film about the notion of celebrity in this day and age feels perhaps a little too on the nose. But in Cooper’s agile hands this version of A Star Is Born is genuinely gorgeous. Cooper’s direction, aided to glorious levels by Matthew Libatique’s cinematography, follows Jack and Ally on their whirlwind journey, never being intrusive but always feeling part of the romance. Every time the film feels like it’s about to veer into the cliched melodrama it pulls back in unexpected and heartstring tugging ways. Those familiar with previous works of the narrative will not be surprised at the plot itself but will bask in the way in which this film manages to capture a sense of loneliness in the company of others. The notion that fame can bring you fortune but never make you happy nor exorcise demons that have always been there. And perhaps most important of all, love cannot conquer all. Lady Gaga is a revelation as Ally. 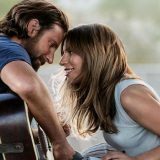 Yes, it’s easy to speculate that perhaps there is a hint of art imitating life but that is to undermine a performance grand in the way Lady Gaga’s music is but also endearingly overawed by what she is witnessing. That she co-wrote much of the music here, that is without exception goosebump inducingly brilliant, also demonstrates that she is unquestionably the onscreen star being born here. But this is Cooper’s film, from his direction to his performance it is staggering. His Jack is cool, yet fragile, proud but humble. His scenes with Gaga will make you swoon while his scenes with on-screen older brother Sam Elliot are devastating.